When you rent a property, securing the premises and your belongings are probably priorities for you but your landlord may not always see things the same way. For landlords, it’s often a case of ‘out of sight, out of mind’, leaving tenants with real security concerns. But don’t worry. There are plenty of things you can do to beef up your security at your rental and put your mind at rest. A security audit is a good place to start. Do a thorough check of the rental to ascertain what security measures are already in place and make a list of weak spots. Check doors and windows (which are the common entrance points for intruders) to see if they have working locks. Entry doors should be secured with a deadbolt or a chain lock, and windows should be lockable too. You may even want to check that the hinges and strike plates on the entry doors are in good condition because old, rusty and worn metal can be vulnerable to a savvy thief. If you are concerned that previous tenants may still be able to access the property or if you are worried that all they keys haven’t been handed in or additional keys have been cut, you should discuss changing the door locks with your landlord. You should also inspect the exterior lighting at your rental property and if there is insufficient illumination at key points such as the front entrance and driveway, you should discuss options with your landlord. Motion-activated sensor lights or lights on a timer switch are both very effective measures for boosting home security and are easy and economical to install and operate. Another tip is never to leave a key under the doormat or ‘hidden’ somewhere around the property. You never know who will come looking for it! Also, keep your valuables out of sight and dispose of any product packaging from new devices (eg television set, camera etc) discreetly so that you don’t tempt intruders. If you’re renting a property, the chances are you won’t know many of your local community very well. However friendly your new neighbours might be – it’s advisable not to trust them with your keys (or too much information about your situation) until you have established a good relationship with them and have got to know them. First impressions can be misleading and your safety and security is a priority. When you’re renting, you may also not be familiar with your neighbourhood. It’s a good idea to spend a bit of time getting to know the roads around you, which routes and paths are busier and more populated and where your local police station is located. You should also consider taking out a renter’s insurance policy which will cover you for home burglaries, vandalism and water and fire damage. There are various levels of cover and you can always choose the one that suits your circumstances best. Another excellent investment is a home security system. Despite what many people think, home alarms and security systems don’t have to be expensive. 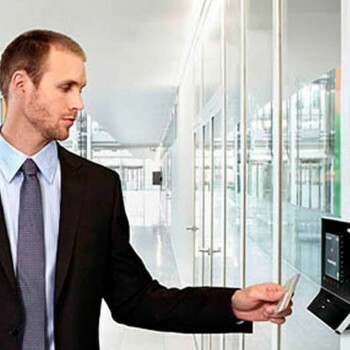 In fact, they are surprisingly affordable and with wireless digital communication, it’s never been easier to install and operate a security system. If your landlord isn’t prepared to install a home security system in your rental property, you may want to invest in your own system which isn’t a permanent fixture. And just because it’s not wired in doesn’t mean the system is any less secure either. 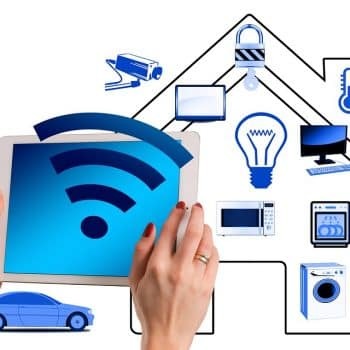 Comprehensive wireless systems which include security cameras, door and window alarms and motion detectors work just as well as the more traditional wired systems and can be installed quickly and easily into a rental property. Best of all, the system can move with you! If you’re renting a property, come and talk to us about home security in Perth. We have decades of experience in the security industry and our professional team will gladly discuss a solution which suits your needs and your budget. Find us on 08 9400 6000 or see our extensive range of home security alarms in Perth.